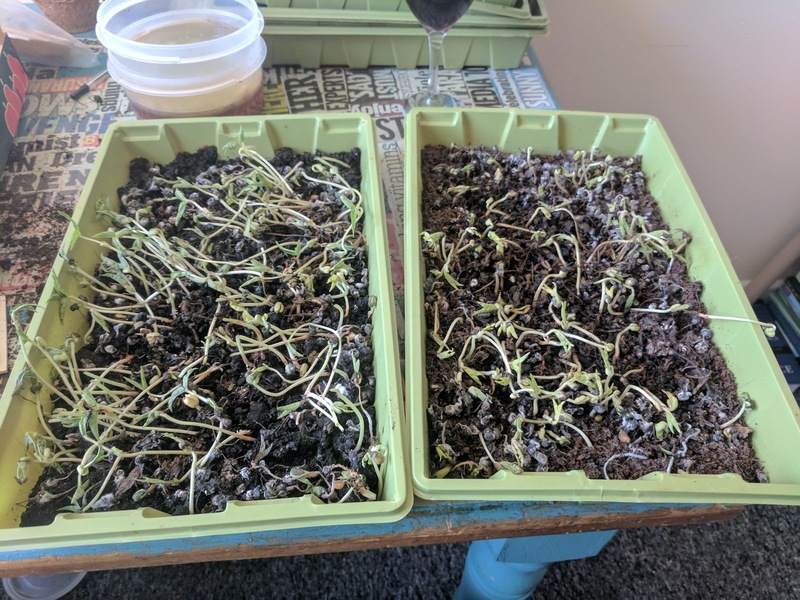 I've not been impressed with the yield from my mung bean microgreens recently. Another problem is how many flies they seem to attract, even when covered and grown in the dark. Adzuki beans continue to impress me, and peas are making a solid contribution, but I think it's time to move on to other seeds, to see what they might be capable of. 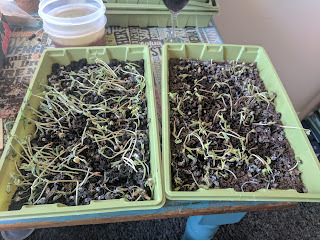 I had excellent results with one large tray of Rambo radish last month, so they're worth another shot, and red cabbage performed adequately too (so well, in fact, I might be able to let some of these grow into actual cabbages over on the allotment). So anyway, Sunday means soup for some reason. Previous success can be seen here and here. The latest tray of adzuki beans became the base. 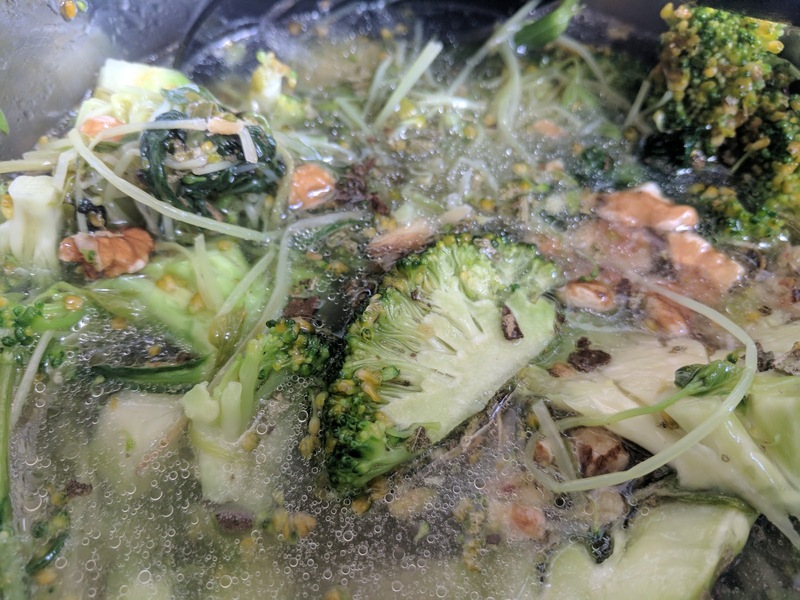 Along with the few mung beans I could salvage, I sweated these down in some oil before adding broccoli. I got this from the Co-op last night, and as you can see it's going a little yellow, but that's nothing to worry about. Chuck it in there. Then I added water, dried sage, fresh basil and a splash of flaxseed oil for that extra vegan kick. Flaxseed oil is recommended for vegans who may be lacking in the Omega 3 oils you hear a lot about, as a reason for eating fish (but don't eat fish, please) which is fine but let's be honest: flaxseed oil is disgusting. So only ever use it sparingly, and in things where its vile taste can easily be obscured by other things. I also threw in a couple of walnuts, because why not? They have omega 3, too. A very omega-heavy soup, this one. 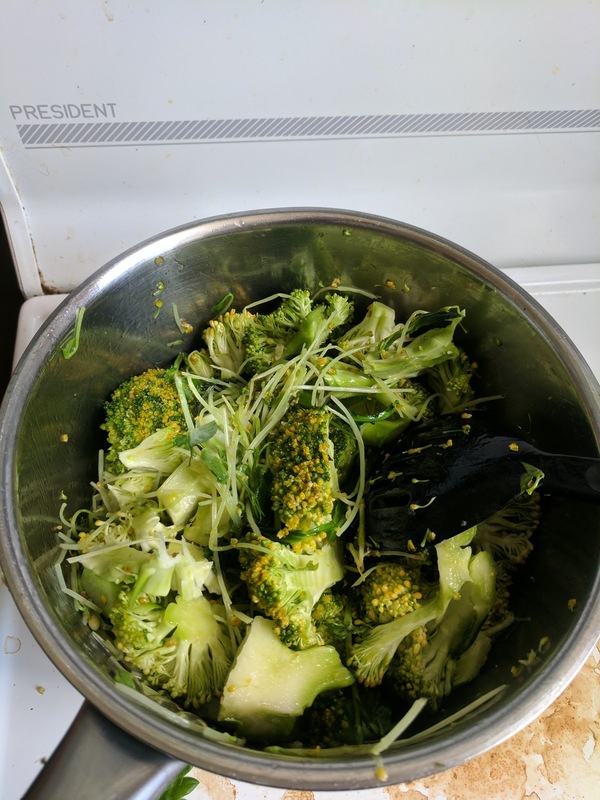 Science tells us that if we eat broccoli and walnuts we will all live for millions of years. 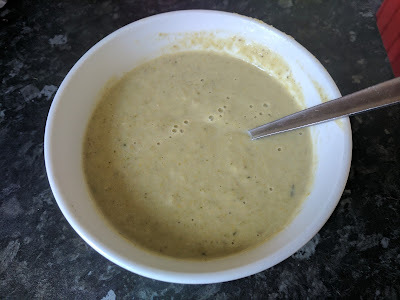 It had a creamy, less earthy taste than previous soups. Thoroughly enjoyable. Adzuki bean sprouts tend to get stuck in the blender though, all stringy-like. 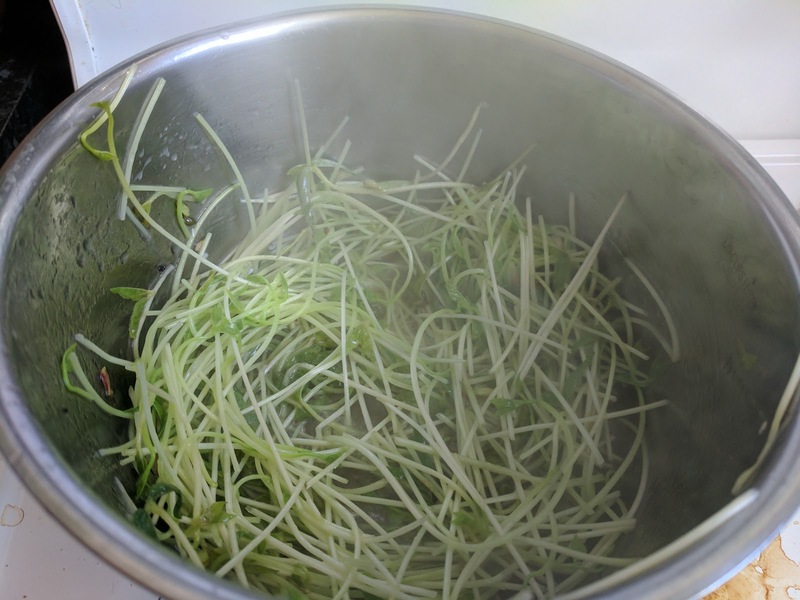 I think the next soup I make could be composed entirely of microgreens. That would be an interesting experience.